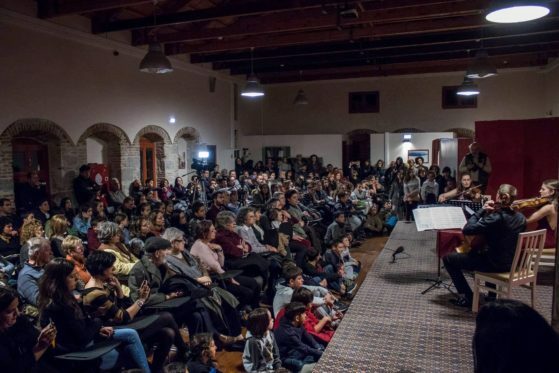 “MO-TO Key”, the educational programme of the Molyvos International Music Festival in cooperation with TONALi!, culminated in a sold-out final concert last week. 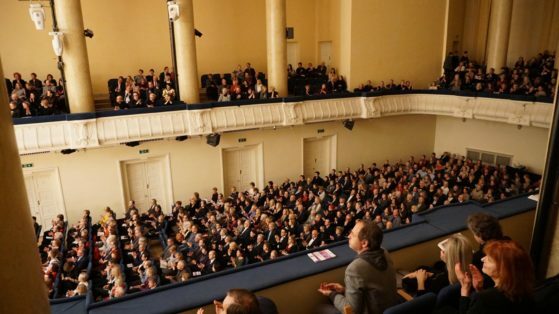 After taking part in a 2 day workshop giving them all the tools that you need in cultural management, the children taking part in the project successfully organized all the concerts from start to finish, took care of the musicians, did all the PR and filled the hall for the final event. 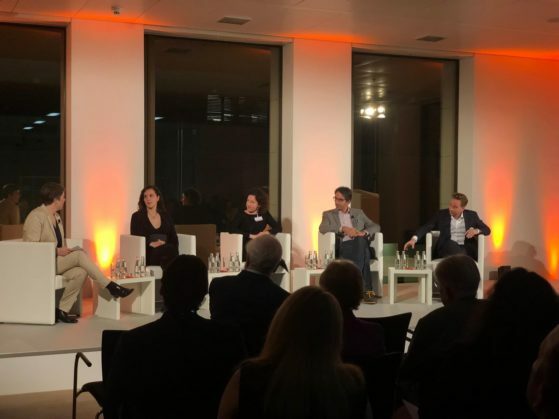 Danae Dörken joins a panel discussion in the UBS tower in Frankfurt together with Sarah Christian (concertmaster of the Deutsche Kammerphilharmonie Bremen), Saleem Ashkar, Timo Buckow from the Rheingau music festival and Lydia Grün to talk about the importance of courage in music and life in general nowadays. Danae Dörken visited the studios of the “Bayrischer Rundfunk” in Munich to talk about Clara Schumann, her importance and relevance today and the significance of her piano concerto in particular, that she is performing together with the Munich Symphony this season. 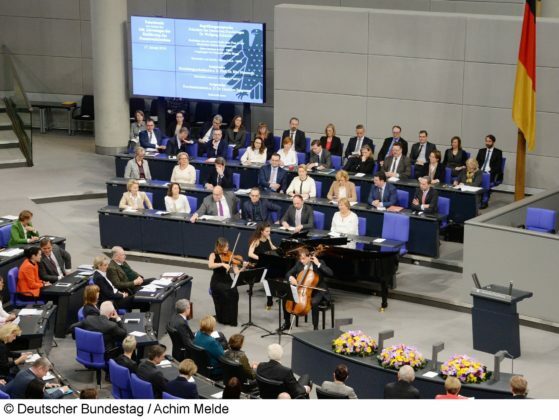 During the celebrations of “100 years of women’s right to vote”, Danae Dörken played for Germany’s leading politicians – amongst them German chancellor Angela Merkel and German president Wolfgang Schäuble. Starting this year, Danae Dörken will join the artistic advisory board of the newly founded music festival “Festspiele Mark Brandenburg”. 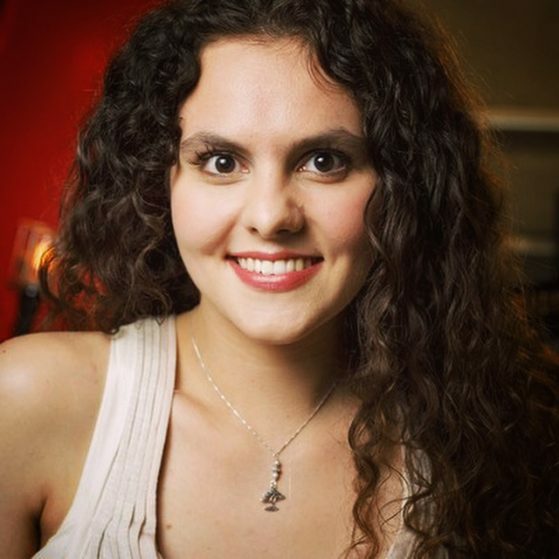 Alongside violinist Tobias Feldmann and cellist Eckart Runge, as well as other internationally acclaimed artists, she will from now on be involved in the artistic planning of concerts all across the state of Brandenburg. 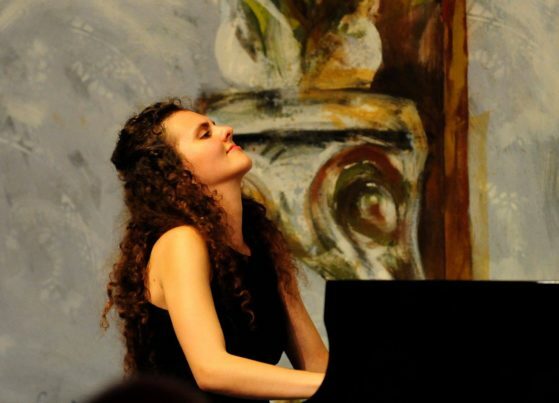 In June of 2019, she will go on tour with Beethoven’s triple concerto together with Tobias Feldmann and Gabriel Schwabe and the Residenzorchester Mark Brandenburg under the direction of Manuel Dengler. Check out the schedule for more details! 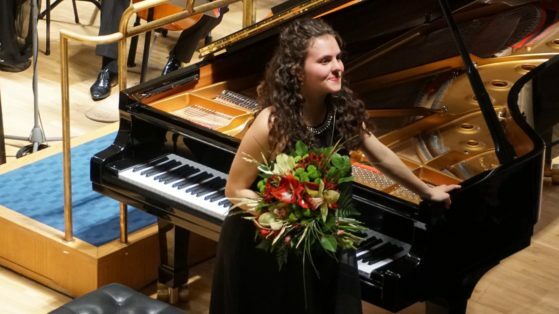 Danae Dörken played her very successful debut in Tallinn, Estonia together with the Estonian National Symphony Orchestra under the direction of Kristiina Poska with Beethoven’s 5th piano concerto in E flat major in a completely sold out Estonia National Concert Hall. 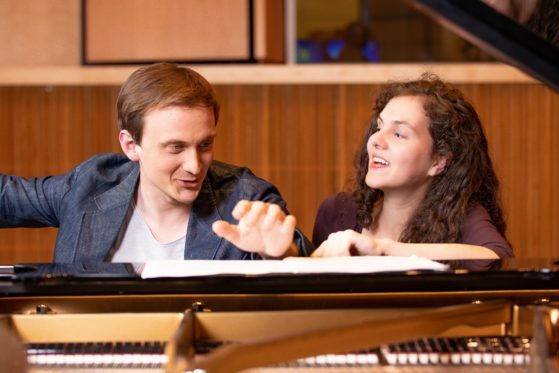 Danae Dörken just finished recording a new duo programme together with cellist Benedict Klöckner consisting of Schumann’s “Adagio und Allegro”, his “Fantasiestücke op. 73” and “5 Stücke im Volkston”, as well as Shostakovich’s Sonata for cello and piano in D minor and Martinù’s “Variations on a Slovakian Theme”. It will be released on GENUIN in May of 2019 – stay tuned!